¿Qué tal esta mesa con hieleras en el centro? GENIAL... es del viñedo Medlock Ames y ¡me encantó! 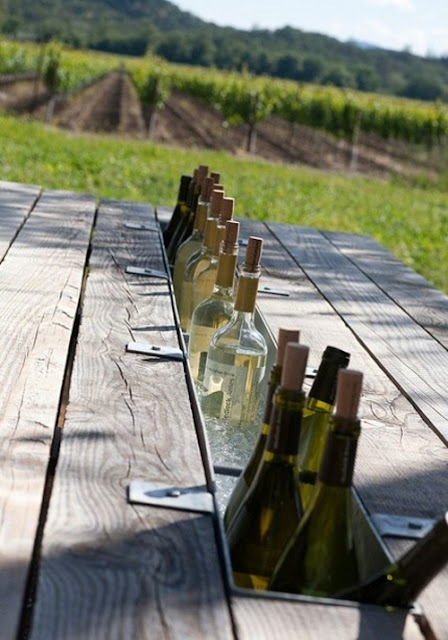 How about a table with wine chillers right in the middle? GENIUS... it's from Medlock Ames vineyards and I loved it!